We had a fair amount of hate against Modern Warfare 3 in our comments section yesterday but I think it’s fair to say that this is likely going to be another smash hit for Activision and Infinity Ward when it’s released on the 8th of November. Oh right, that’s the story. 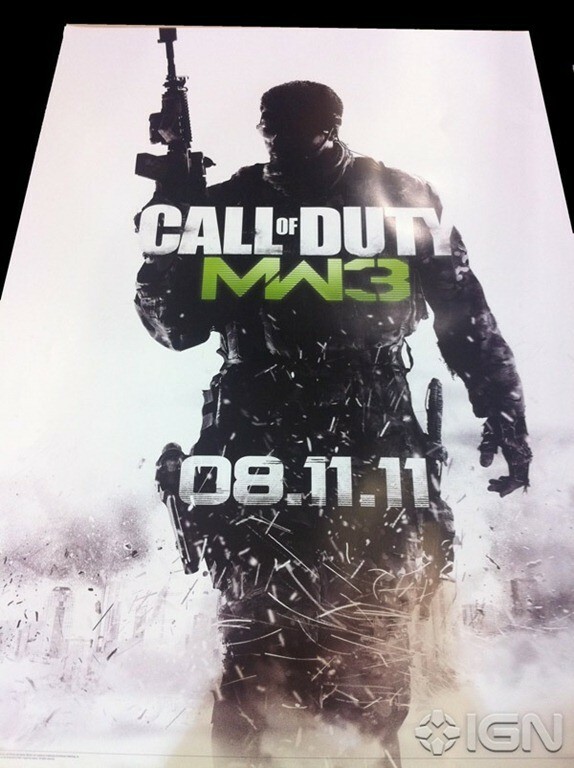 The release date for Modern Warfare 3 has been leaked and it’s going to be the 8th of November which means that if we follow our normal release schedule down here then we’ll get it on the 11/11/11. Which just happens to be the same release date as Minecraft and Skyrim and likely more titles thanks to it’s awesome symmetry. It’s quite startling however how much information is leaking out about Modern Warfare 3 and I am really starting to think that they have to have a disgruntled employee in their offices purposefully leaking this info. I hope for his/her sake they don’t get caught because Activision won’t look kindly on this sort of marketing decimation. This latest leak however has come from an Australian retailer and shows some retail artwork for the upcoming title with a release date on it. Why the retailer has artwork already is beyond me. *It appears that I was wrong and Activision haven’t dropped the Call of Duty title for this game.